Okay, here we go! I’m going to embark on a project I’ve wanted to do for years. Just for you, my friends, this Holiday Season, I present to you: an illustrated Christmas Carol. 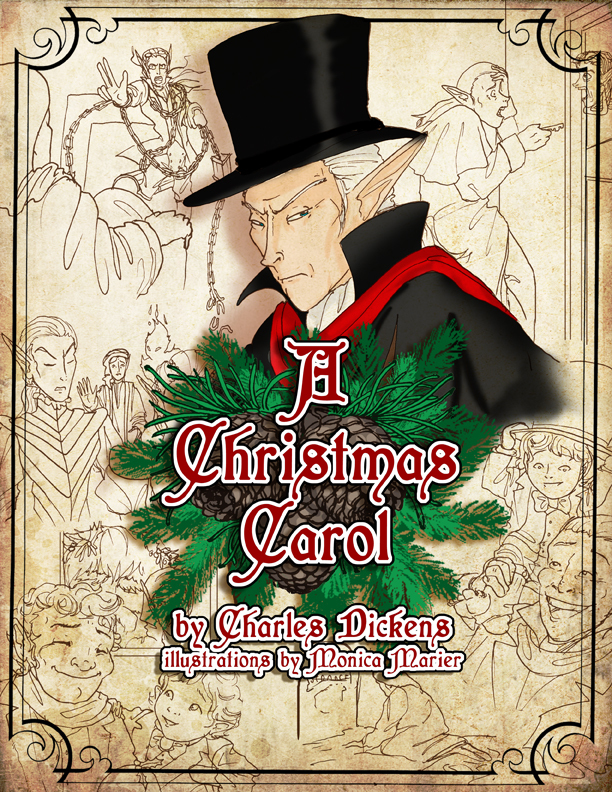 Everyday until Christmas Day (when—fingers crossed!—I’ll put it all together) there will be a new fantasy-themed illustration and a section of text from Charles Dickens’ most famous work. I hope you enjoy it. Here’s today’s art: the cover. I like the idea! Looking forward to it!